Vancouver Canada designer creating whatever she wants. 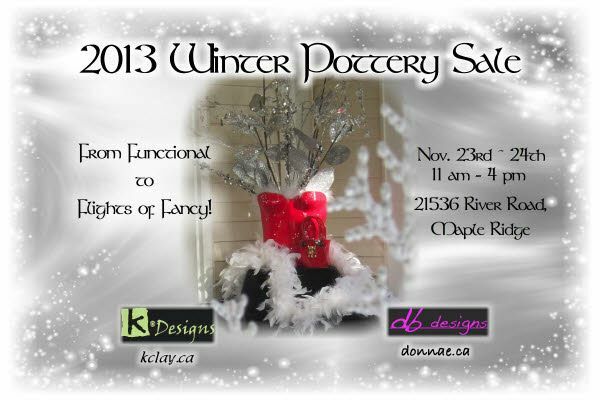 Kerry + Donnae’s Fabulous Winter Sale! Can’t believe it has been almost a year since our last one, it, as always, has creeped up on me so I have been in a flurry of clay trying to create something to offer you all. Have gone in a different direction this year, think animals. :). Unlike me, Kerry will have her usual amazing array of functional ware that is elegant and a delight to the eye. Hope to see you that weekend!